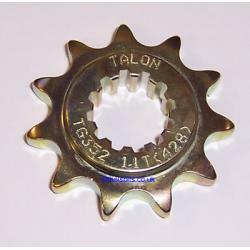 A Talon Gearbox sprocket for the Beta Rev 80, and the Evo 80. This has 11 teeth and is for use with a 428 chain size. This will also fit some early Beta models that had a 428 chain, including the Synt 125, and early Techno 125 from 96-97.